If Your Home Hasn’t Sold Yet… Check the Price! The residential housing market has been hot. Home sales have bounced back solidly and are now at their second highest pace since February 2007. Demand has remained strong throughout the winter as many real estate professionals are reporting bidding wars with many homes selling above listing price. What about your house? If your house hasn’t sold, it is probably because of the price. If your home is on the market and you are not receiving any offers, look at your price. 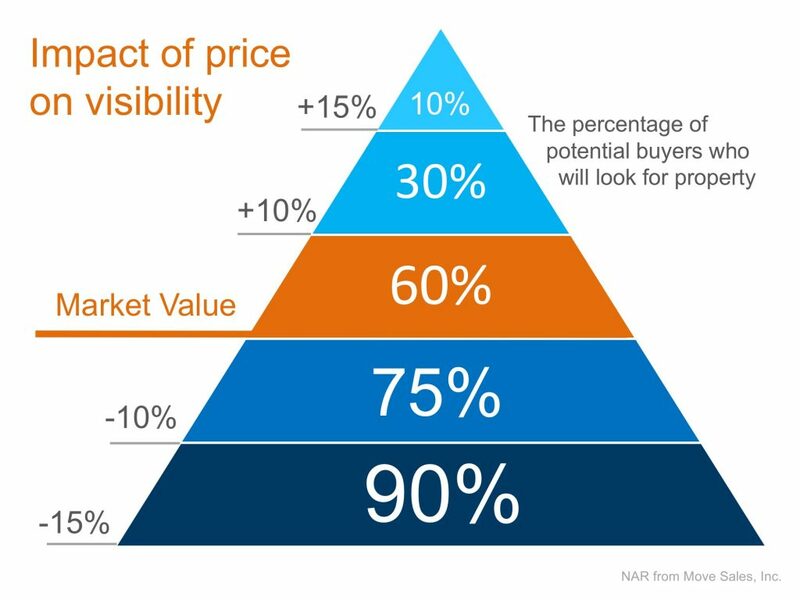 Pricing your home just 10% above market value dramatically cuts the number of prospective buyers that will even see your house. See chart below.